clinical information easy to find and apply. 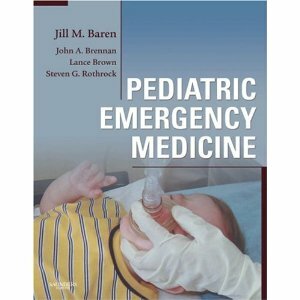 Tap into expert guidance on all aspects of pediatric emergency medicine, from the physical exam and usual and unusual presentations through to disposition criteria and transfer issues. tertiary care centers, EMS and transport, and triage. Find information fast with or without a known diagnosis, with content organized both by chief complaints and by specific diagnoses. Better understand how problems present differently in infants, children, and adolescents with age-specific diagnoses. Identify and manage the psychosocial issues surrounding pediatric patients, including major depression and suicidality, sexual and physical abuse, child neglect, and violence. Easily absorb key information with the aid of text boxes, algorithms, clinical pearls, and pitfalls. text will be a great addition to any ED or urgent care clinic library."